…or you can make pretty clouds. 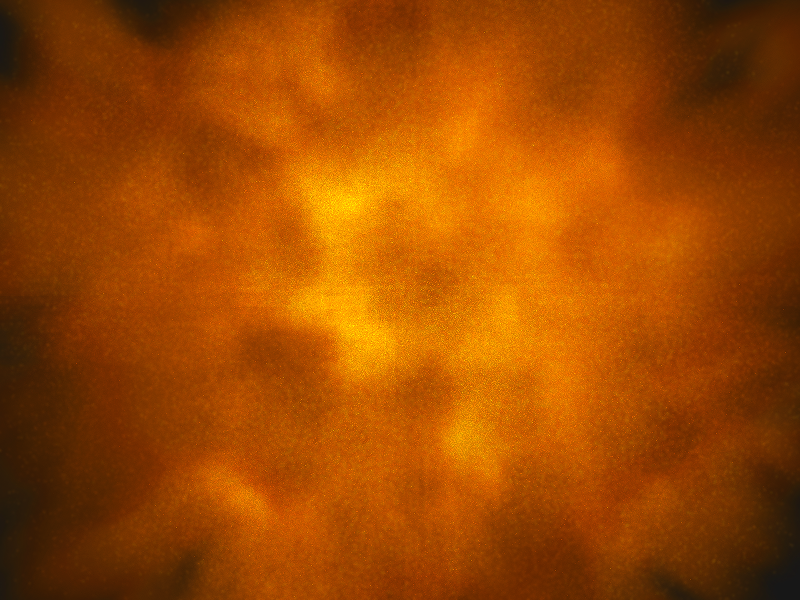 One of the first things I ever tried to make when I first was introduced to Maya was a cloud. 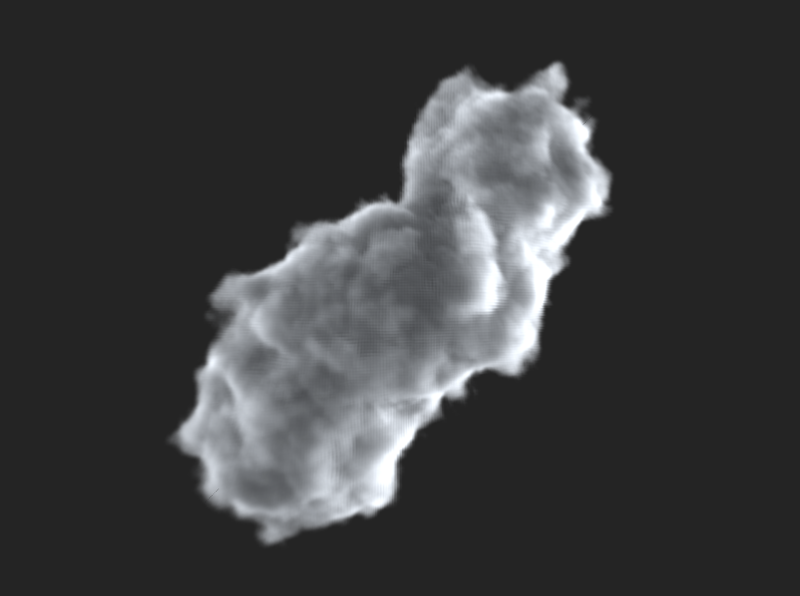 I quickly learned that there simply is no way to get a nice fluffy cloud using polygonal modeling techniques. 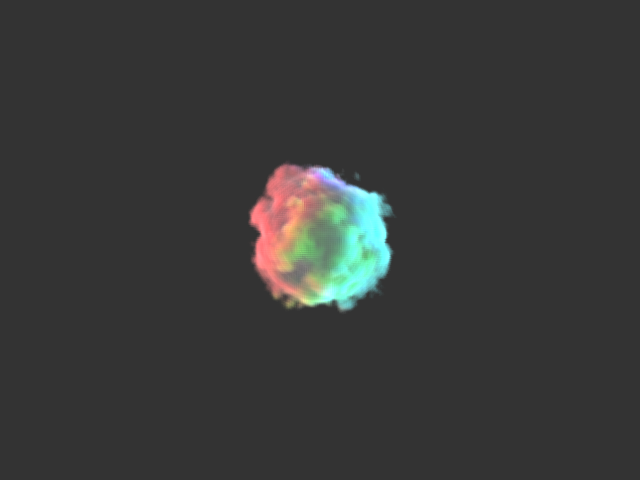 Ever since then I’ve kept the idea of making clouds parked in the back of my head, so when we were assigned the task of writing a volumetric renderer that could produce clouds, obviously I was pretty excited. I won’t go into detailed specifics about implementing the volumetric renderer, as that is a topic well covered by many papers written by authors much smarter than me. Also, future CIS460 students may stumble across this blog, and half the fun of the assignment is figuring out the detailed implementation for oneself. I don’t want to ruin that for them ;) Instead, I’ll give a general run-through of how this works. 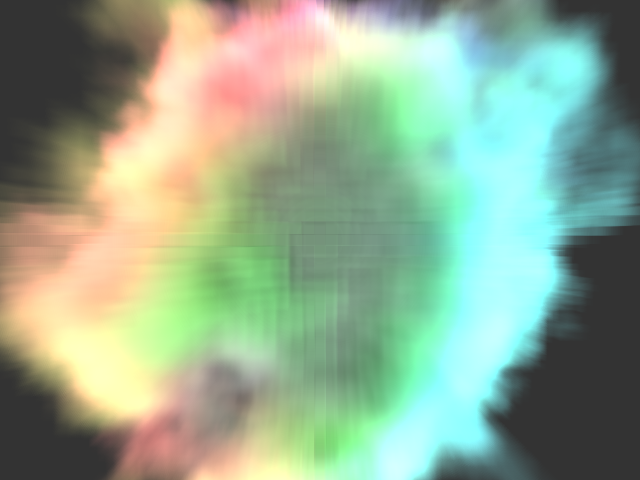 The way the volumetric renderer works is pretty simple. You start with a big ol’ grid of voxels, called… the voxel grid or voxel buffer. From the camera, you shoot an imaginary ray through each pixel of what will be the final picture and trace that ray to see if it enters the voxel buffer. If the ray does indeed hit the voxel buffer, then you slowly sample along the ray a teeny step at a time and accumulate the color of the pixel based on the densities of the voxels traveled through. Lighting information is easy too: for each voxel reached, figure out how much stuff there is between that voxel and any light sources, and use a fancy equation to weight the amount of shadow a voxel receives. “But where does that voxel grid come from?”, you may wonder. In the case of my renderer, the voxel grid can either be loaded in from text files containing voxel data in a custom format, or the grid can be generated by sampling a Perlin noise function for each voxel in the grid. A second way is to simply dramatically increase the resolution of the voxel mesh. This technique can be very very very memory expensive though. Imagine a 100x100x100 voxel grid where each voxel requires 4 bytes of memory… the total memory required is about 3.8 MB, which isn’t bad at all. But lets say we want a grid 5 times higher in resolution… a 500^3 grid needs 476 MB! Furthermore, a 1000x1000x1000 grid requires 3.72 GB! Of course, we could try to save memory by only storing non-empty voxels through the use of a hashmap or something, but that is more computationally expensive and gives no benefit in the worst case scenario of every voxel having some density. 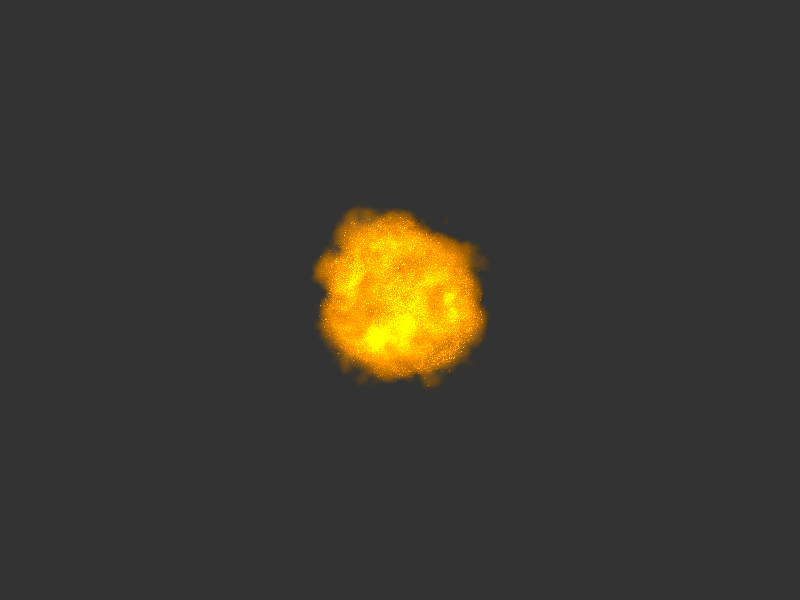 At least in the case of my renderer, there is a fourth way to deal with the artifacting: instead of preloading the voxel buffer with values from Perlin noise, why not just get rid of the notion of a discretized voxel buffer altogether and directly sample the Perlin noise function when raymarching? The result would indeed be a perfectly smooth, artifact free render, but the computational cost is extraordinarily high compared to using a voxel buffer. Of course, one could just box blur the render afterwards as well. But doing so is sort of cheating. So! 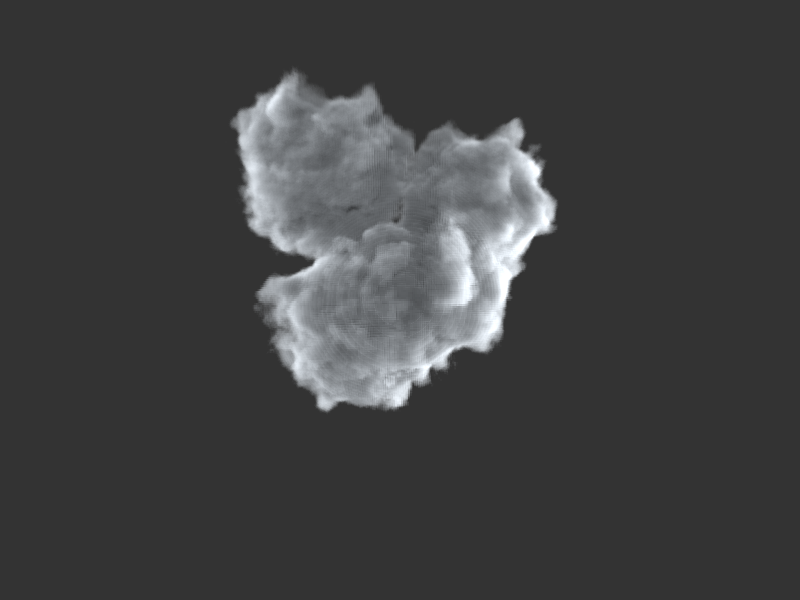 The volumetric renderer was definitely a fun assignment, and now I’ve got a cool way to make clouds! Hopefully I’ll be able to integrate this renderer into some future projects!